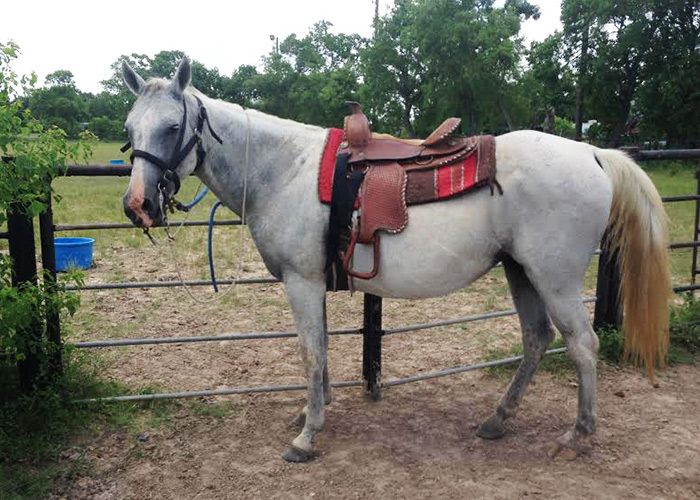 If you looking for a great horse to work with – Lariat is the girl for you. 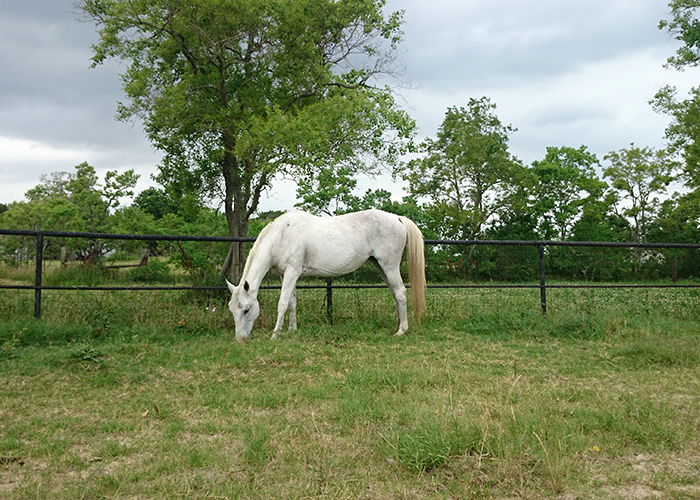 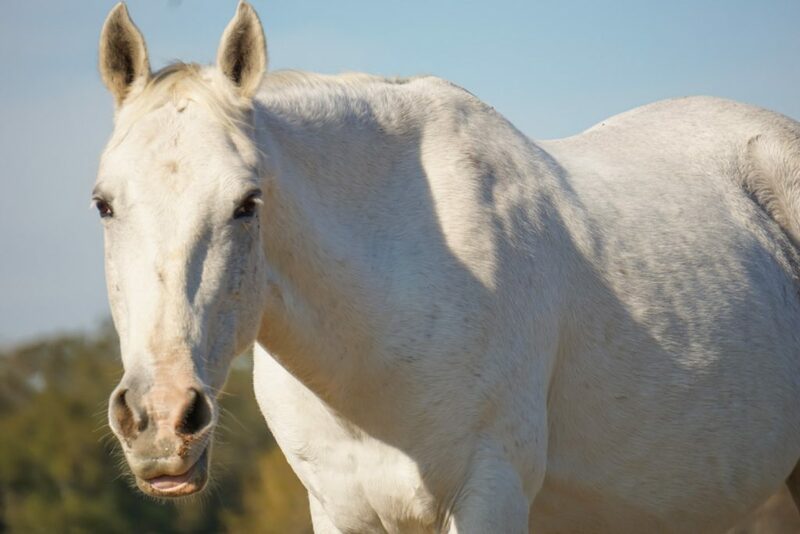 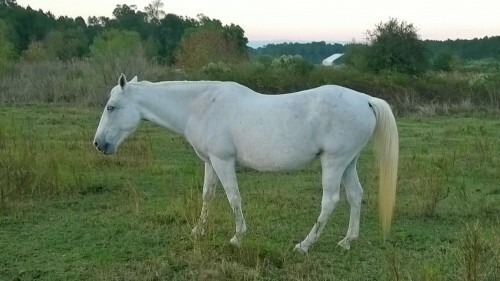 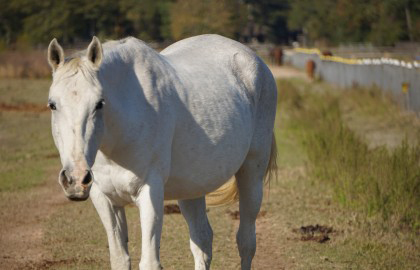 She is a lovely white Quarter Horse with solid ground manners. 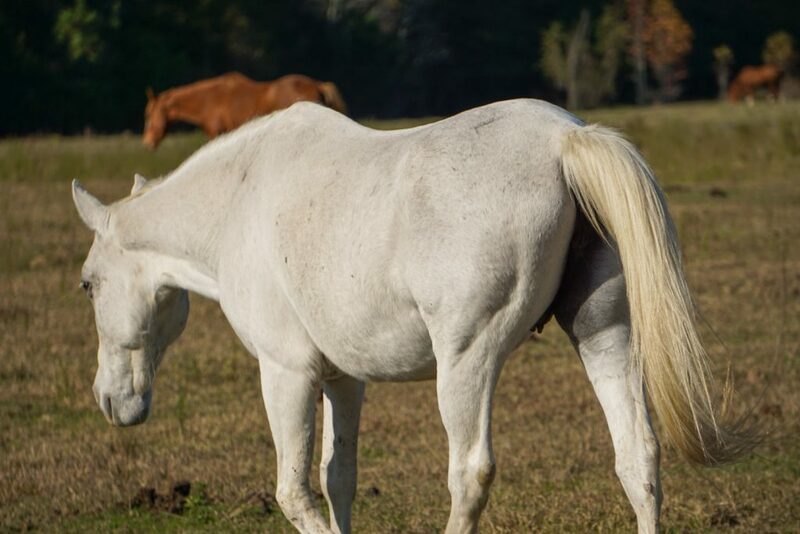 She leads, ties, loads and saddles just fine. However, once saddled, she has a lotta “GO”! 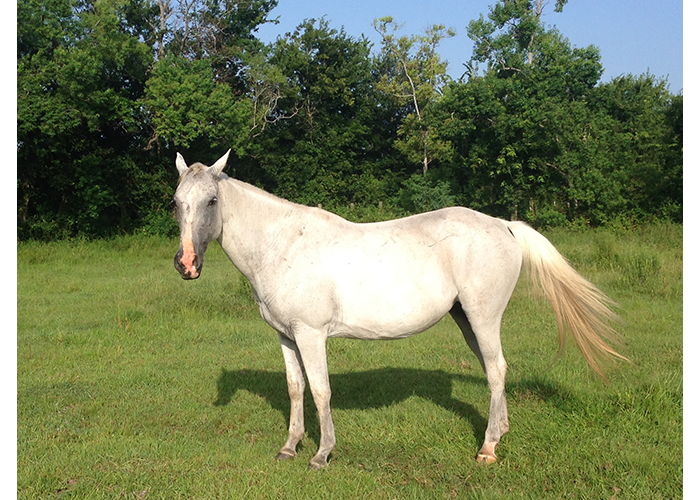 Lariat neck reins and side passes to the right and responds to cues. 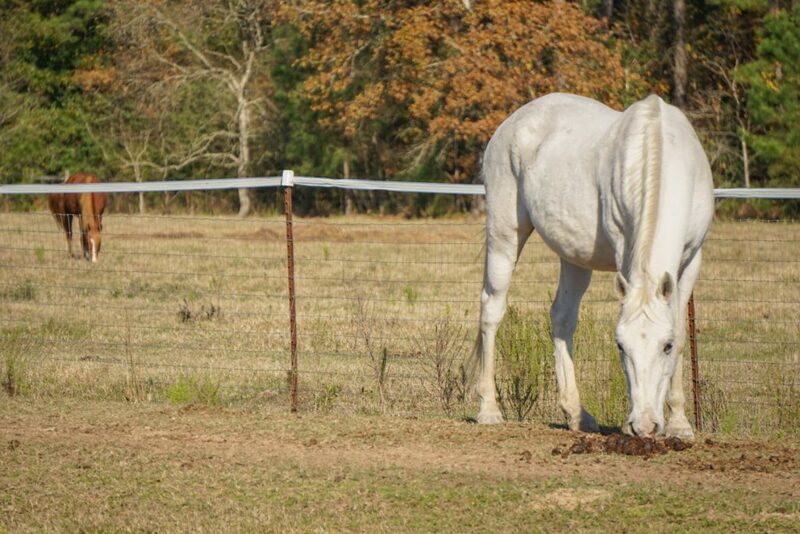 As athletic as she is, Lariat would make a great barrel racing horse. 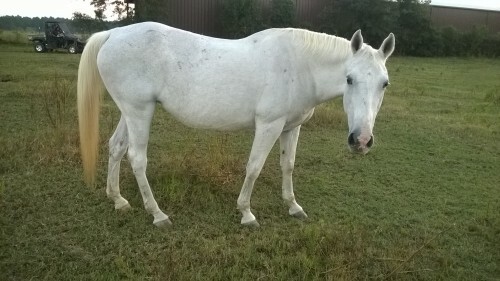 She is also sweet enough to be a pleasure horse. 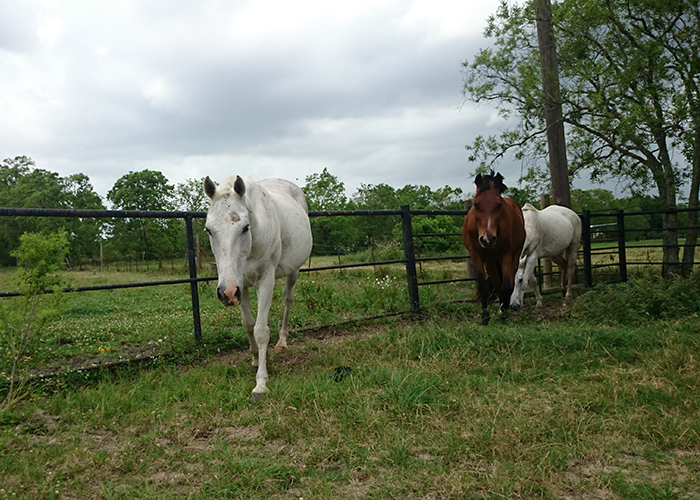 Our trainers have been working with her to smooth out all of her riding skills. 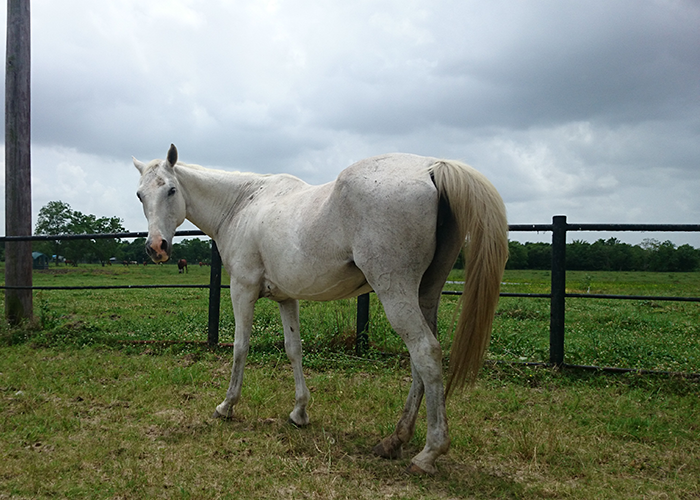 See her Hearts for Hooves adoption video here!